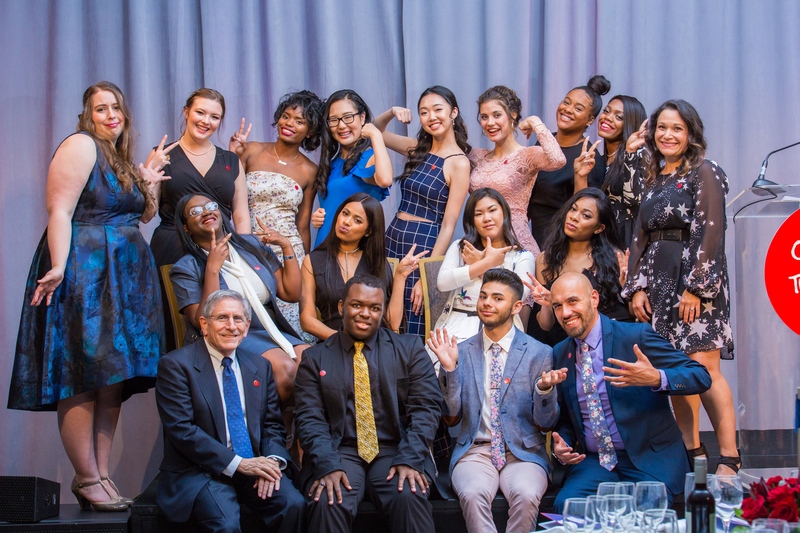 Each year, the Campaign for Tobacco-Free Kids’ Youth Advocates of the Year Awards Gala honors the accomplishments of outstanding young leaders and tobacco control champions making a difference in the United States and around the world. Join us on May 23, 2019, for an evening of fun and celebration as we reflect on 2018 – the challenges, the triumphs and the inspirational stories of those pushing our movement forward – and look ahead to continued progress in the fight to protect kids and save lives. ABOVE: The 2018 Youth Advocates of the Year strike a pose with President Matt Myers and the Youth Advocacy team. Click here to see 2018’s honorees and sponsors. Malia M. Cohen is a strong advocate for social justice and inclusion. She is known to champion policies and programs that benefit all Californians, including initiatives to protect public health. As a Member of the San Francisco Board of Supervisors, she was the driving force behind the City’s first-in-the-nation law prohibiting the sale of all flavored tobacco products, including menthol cigarettes, flavored cigars and flavored e-cigarettes. In 2017, she introduced the ordinance to ban flavored tobacco products, built a strong coalition to support it and steered the measure to unanimous passage by the Board of Supervisors. When the Reynolds American tobacco company mounted a nearly $12 million ballot campaign to overturn the ordinance, then-Supervisor Cohen led the effort to uphold it, resulting in a resounding 69 percent victory in June 2018. San Francisco’s law has been the catalyst for a growing national movement to end the sale of menthol cigarettes and other flavored tobacco products, which play a pernicious role in attracting kids and directly contribute to health disparities in the United States. Malia Cohen currently serves as Chair and District 2 Member of the California State Board of Equalization (BOE), California’s elected tax commission. She represents 10 million constituents from 23 counties, extending from Del Norte County in the north to Santa Barbara County in the south. Elected to the BOE in November 2018, she is the first African-American woman to serve on the Board. Prior to the BOE, Chair Cohen served as President of the Board of Supervisors of the City and County of San Francisco. She was first elected to the Board of Supervisors in 2010 and re-elected in 2014. There she served as Chair of the Budget and Finance Committee and a fiduciary member of the San Francisco Transportation Authority. Previously, she served as a Commissioner of the San Francisco Employee Retirement System (SFERS), which manages a $23 billion pension fund. Malia Cohen was born and raised in San Francisco. She earned a Bachelor of Arts degree in Political Science from Fisk University, a historically Black university in Nashville, Tennessee, and a Master’s in Science in Public Policy & Management from Carnegie Mellon University in Pittsburgh, Pennsylvania. If you have questions about the Youth Advocates of the Year Awards Gala or would like more information about sponsorship opportunities, email Louella Haymon or call (202) 481-9341.